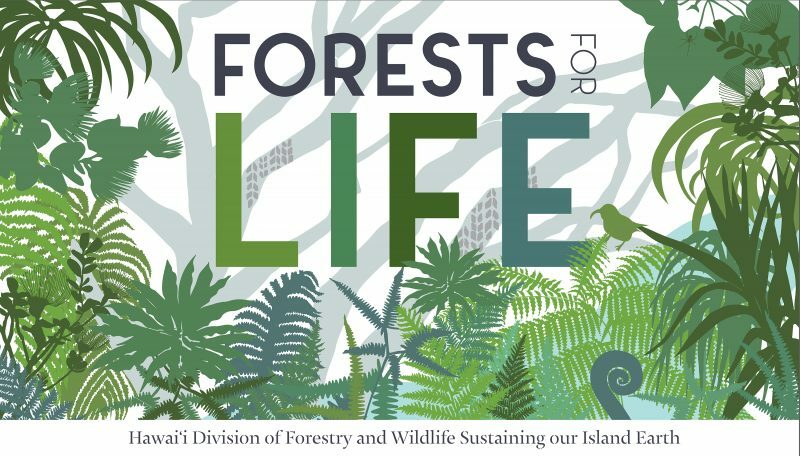 Forests for Life, a comprehensive, one-hour documentary that chronicles the life-giving importance of Hawai‘i’s native forests, is now available to watch at the links below. The special, produced by the Hawai‘i Dept. of Land and Natural Resources (DLNR), is the culmination of five years of taping and conducting interviews in stunning and remote parts of the state. Native forests are the source of clean, clear drinking water for more than a million Hawai‘i residents and nearly ten times as many annual visitors. As the documentary explores, they are also critical for a whole host of other benefits. The special has nine distinct segments which detail native forests’ relationship to Hawaiian culture, protection of rare plants and animals, and barriers against flood, fire, and erosion.